Spring is in the air... Well, almost. It&apos;s the end of February and the tail end of winter and we are counting the days until warmer weather, sunshine, and _ becomes the norm. We&apos;ve had a few previews--(anyone else in the tri-state area LOVE that unexpended record-breaking 73-degree day we experienced last week?!) --and it&apos;s gotten us extra excited for spring to come. Fresh air and fragrant flowers--we are ready for you! One way I&apos;m welcoming the season is with floral bouquets! Did you know Feb. 28 is National Floral Design Day? Hey, I&apos;ll take any excuse to celebrate with a bundle of blooms. 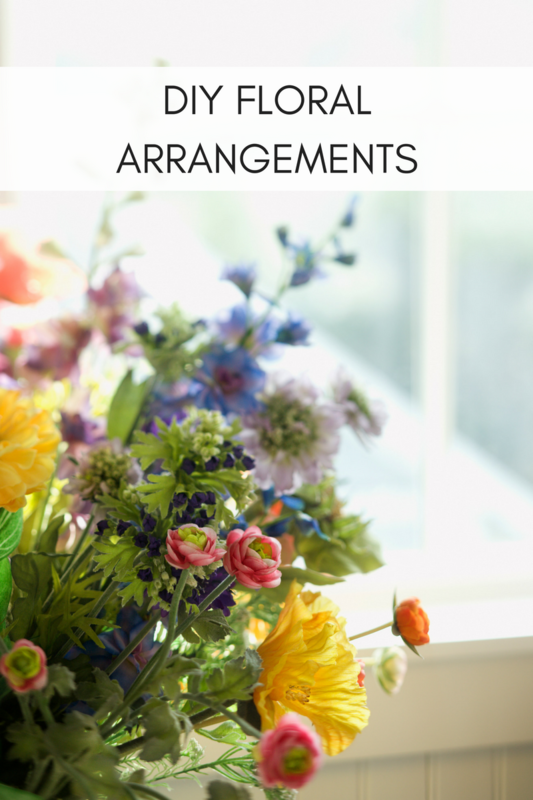 I love displaying them all over the house, but I don&apos;t love spending lots of money of them--so I&apos;m sharing a few simple tipsand ideas to create your own beautiful arrangements on a budget. 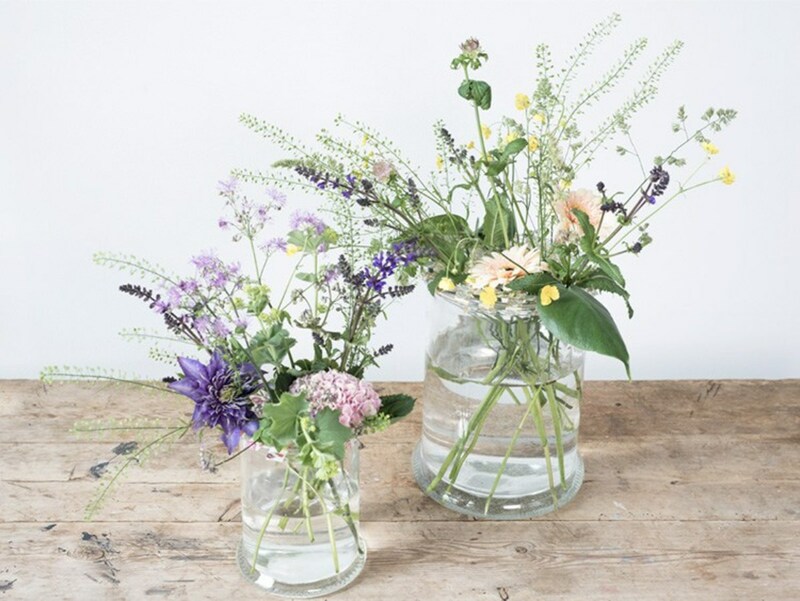 Freshly picked wildflowers of varying heights always add a rustic appeal to a DIY arrangement. Minimalism keeps it easy, clean, and simple to create. Mix varietals and vegetables. 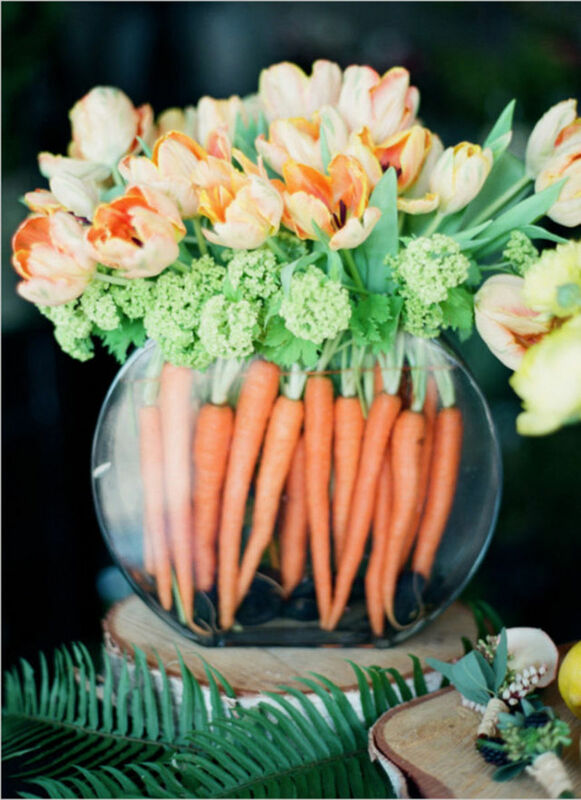 Easter comes early this year, and this easy-to-make arrangement is perfect for your holiday table. 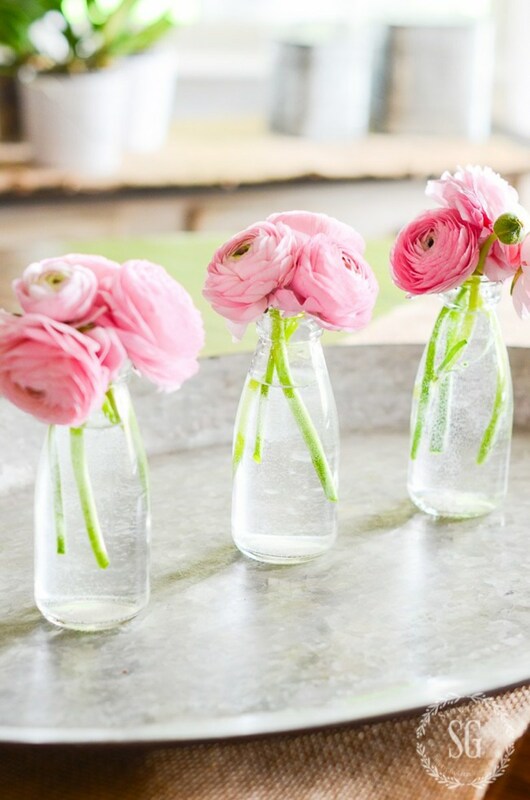 Get creative with your vases! 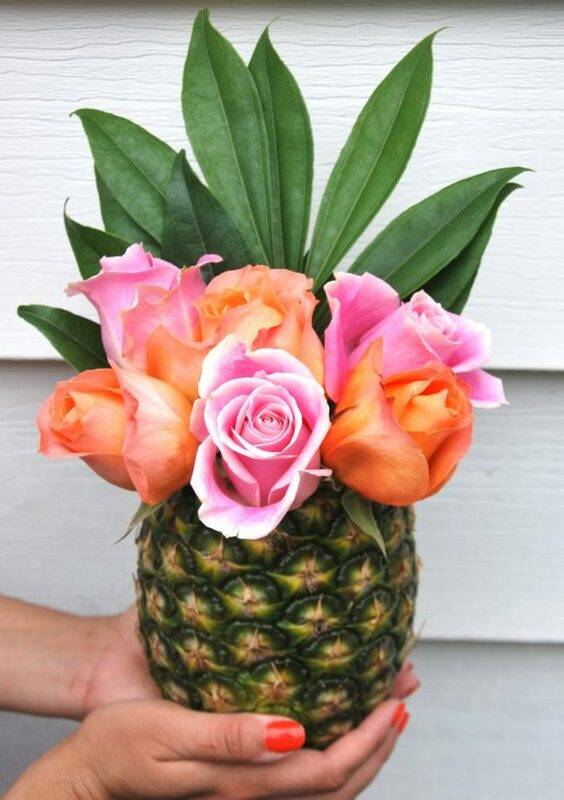 Even a scooped out pineapple makes a lovely home for a few tropical blooms. 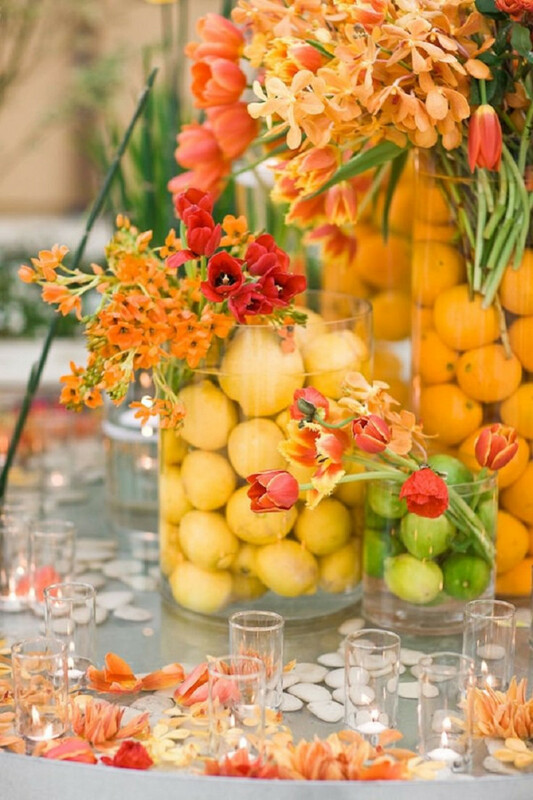 Fill tall glass vases and canisters with different types of citrus fruits: lemons, limes, and oranges. Then top with a few overflowing flowers. It looks super impressive, but is actually incredibly easy!